Crimean Tatars whose houses were searched earlier today, were released from any responsibility – all except one. Lawyers and human rights watchers reported this on Wednesday afternoon. 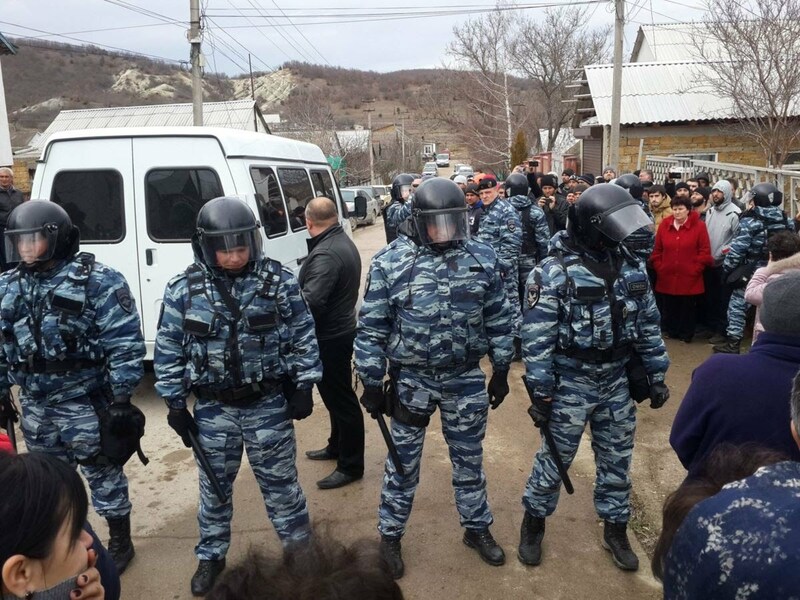 In Staryi Krym, the detained Crimean Tatars walked free; it appears that they lived near the local cafe, which was searched by the Russian police in the morning. According to Crimean Solidarity, the human rights watching group, the police completed a report on Seitumer Seitumerov, whose house was also searched in Bakhchysarai. ‘He was reprimanded for propaganda or public demonstration of the Nazi symbols, or items with similar symbols that are banned for public display by the federal law,’ the message says. The Russian occupant government has been persecuting Crimean Tatars since the peninsula’s occupation in February 2014.